LEDs are light-emitting diodes and act as semiconductors that produce visible light when an electrical current is passed through them. LEDs differ from incandescent or compact fluorescent lighting in several major ways. They are often more efficient, durable, versatile, and longer lasting than their more traditional counterparts. In fact, LED lighting uses light emitting diodes which then absorb the heat it produces into a heat sink. There is no such thing as a white LED, but it can be created by combining different color LEDs to produce white light. LEDs are also directional light sources which means that they can emit light in a specific direction unlike the more traditional counterparts which emit light and heat in all directions. 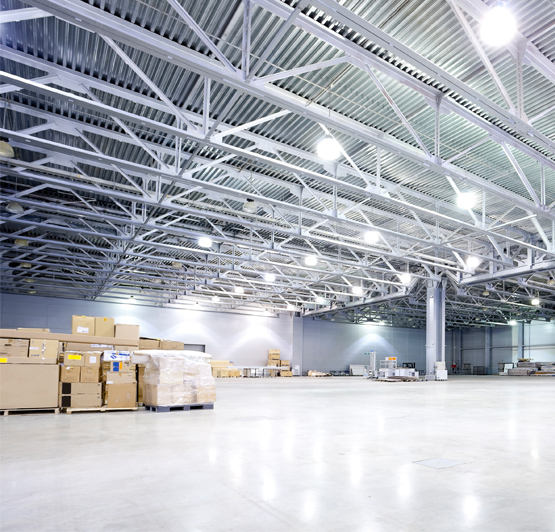 The life of LED lighting is defined much more differently than traditionally. This is because LEDs don’t burn out like traditional light bulbs. LEDs experience lumen depreciation where the amount of light produced decreases and the light color can shift over time. Therefore LED lifetime is based on the prediction for when the light output will decrease by 30%. LEDs don’t radiate heat away like an incandescent or halogen, but rather draws the heat away from the LED to a heat sink. A heat sink is a passive device that absorbs the heat that is produced by the light and dissipates it into the surrounding environment. This will help keep the LEDs from overheating and burning out. LEDs are more energy efficient- The cost of electricity is increasing and by installing LED light bulbs electricity costs can be reduced by 70%-90%. LED light bulbs have a longer life span- An average CFL lifespan is around 8,000 hours and an incandescent lasts for about 1,200 hours while LEDs last around 50,000 hours or more. This means that an LED light bulb is an investment that will last for many years or even decades. This therefore also reduces the amount of required maintenance. LED light bulbs help save money on electricity bills- They use less per unit of light generated. They therefore last much longer and also lower your electricity bill by providing 100-200 lumens per watt. LED lighting is therefore 50 times more efficient in lifespan. LED lighting is non-toxic and greener- They do not contain highly toxic mercury and are 100% recyclable. It also releases a lot less carbon dioxide, sulfur oxide, and nuclear waste. LED lighting is flexible in color and design- LED lights can be combined easily in various shapes and designs in order to produce highly efficient illumination. Individuals LEDs can be dimmed and light, color, and distribution can be controlled and adjusted with timers or a remote.